When it comes to pregnancy, almost all attention is focused on women. Intensive focus is on nutrition and how it can increase the chances of conception. But healthy eating is important for both partners, hence it is undisputed that the future fathers play a crucial role in the creation of new life, and it requires healthy sperm. Consuming vitamins is an essential part of achieving this goal. Vitamin C alone is unlikely to improve sperm quality or reduce problems with fertility, but is one of the healthiest types of dietary supplement to be consumed. It found that patients who consumed 1,000 milligrams of vitamin C per day lead to increase sperm count and their motility. 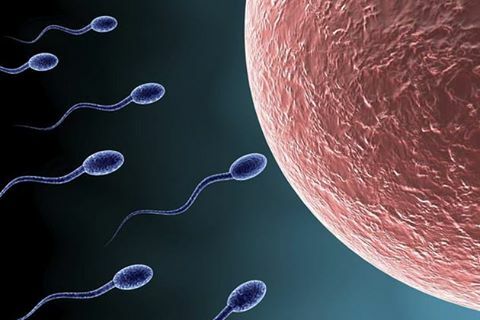 Increased sperm count means that there will be more potential sperm to fertilize an egg, while greater mobility means that sperm is healthy and strong enough to make the journey to the egg. Citrus fruits, berries, kiwi, Brussels sprouts, broccoli and red peppers are foods rich in vitamin C.
Vitamin D alone will not improve the quality of sperm, but it is a very important part of the diet. Low levels of vitamin D may have a negative impact on the overall health of sperm, and sperm count and their motility. High levels of vitamin D can also have a negative effect on sperm so consultation with doctor soodveteniot amount of vitamin D for you is necessary. Drinking milk or eating fortified foods, such as yogurt and breakfast cereal will help to increase the intake of vitamin D.